Six years ago, at a meeting of the Federal Bar Council’s Second Circuit Courts Committee, members found themselves in a discussion — not about legal precedent or appellate procedure — but about capturing, through photography, the magnificent architecture of the courthouses found throughout the Second Circuit. The idea was inspired by Judge Kevin Castel. No one could have imagined the path from that momentary idea to the creation and publication of Courthouses of the Second Circuit — Their Architecture, History, and Stories, a 262 page coffee table book with over 220 illustrations that brings together architecture, history, and jurisprudence. The stately book, co-published by the Federal Bar Foundation and Acanthus Press, describes and portrays 19 courthouses in the Second Circuit (as well as many historic courthouses no longer in use today) and provides a roadmap of our circuit’s history through discussion of the major cases that took place in each courthouse. Adding to the stature of the project is a foreword by Second Circuit Chief Judge Robert A. Katzmann, a preface by former Chief Judge Dennis Jacobs, and an inspirational acknowledgment by Justice Ruth Bader Ginsburg. At the helm of this long process of creation — multiple drafts, historical research, courthouse interviews, and capturing images and wading through photographs, legal opinions, and U.S. General Services Administration records — were its editors, Second Circuit Committee Members Patricia McGovern and Michael Zweig, and its associate editor, Marjorie Press Lindblom. Their dedication, along with the dedication of Second Circuit Committee Chairs Mary Kay Vyskocil, Vilia Hayes, and Linda Goldstein and Circuit Executive Karen Milton and her staff, succeeded in amassing contributions by numerous additional Council members. The effort was supported as well by a succession of Council and Federal Bar Foundation presidents and by the assistance of the firms of Loeb & Loeb and Kirkland & Ellis. As Vilia Hayes notes in her “From the President” column in this issue of the Federal Bar Council Quarterly, a celebration of the book’s launch is planned for October 28 at the Thurgood Marshall Courthouse, a photograph of which adorns the cover of the book. The Planning Committee for the book is working on other book-related events including CLE programs. This book is a remarkable achievement by the Council and a tribute to the power of community effort. Now here comes the best part: as part of the celebration of our community, all current members will receive a complimentary copy of the publication and new members will receive the book upon joining. Readers will be astonished by the beauty and variety of the circuit’s courtrooms and the stories — familiar and unfamiliar — that the book tells about them. 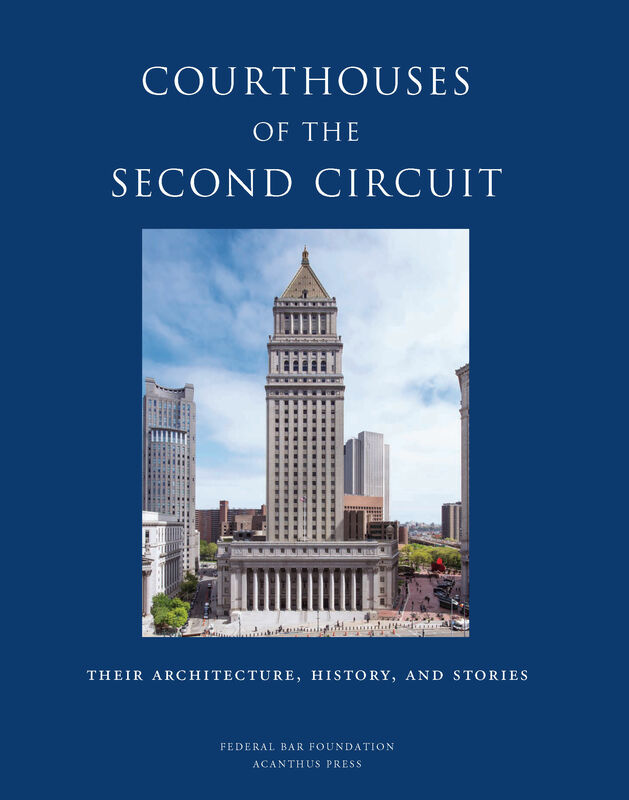 We predict that Courthouses of the Second Circuit — Their Architecture, History, and Stories will soon be seen in the reception areas of hundreds of law firms throughout the circuit and serve as a symbol of the work of our courts for years to come.